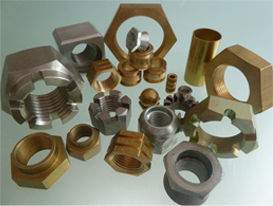 J.Cooke Engineering has been manufacturing nuts, bolts and fasteners since 1973 and has become the leading British Bar Turned Nut manufacturer, specialising in the production of both ferrous and non-ferrous machined components. We manufacture our fastener range at two locations, our Head Office in Royston Hertfordshire, 30 miles north of London, and also in the West Midlands on the outskirts of Birmingham. We have the capacity to manufacture over 5 MILLION parts per week which are distributed to a wide range of industries throughout the United Kingdom. A large proportion of our sales are now exported to many countries in Europe,The Middle East, Africa and Asia. With constant investment in new machinery we also have the resources to manufacture turned spacers, washers, inserts and turned parts at the most competitive prices throughout Europe.